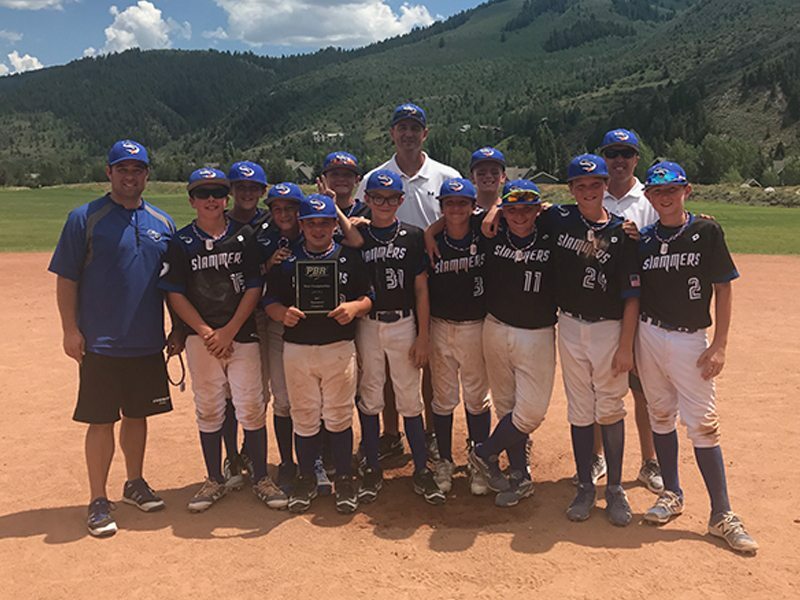 We are wrapping up this four-part series on Haselden team members that continue Haselden values outside the office and jobsite with one that’s grounded in the all-American pastime: baseball. And it’s pretty cool if you get the opportunity to coach your child’s team. Eric Blanke has been with Haselden for over twenty years. For 15 years he served as a superintendent—that translated to working a lot of weekends and not being able to get as involved with his kids’ activities as he wanted to. Now he serves as Haselden’s Director of Healthcare Planning & Construction, which allows him more free time on the weekends. He has more time to give back. Eric’s oldest son, Charlie, has played baseball competitively for the past six years. He plays through the Slammers Baseball program which is largely made up of coaches that are ex-major league and college players. It’s a local organization offering competitive play for kids 8 years old through high school (with other programs for kids as young as 5). The team plays in regional competitions, and last year went to a tournament in Cooperstown, NY, home of the National Baseball Hall of Fame. 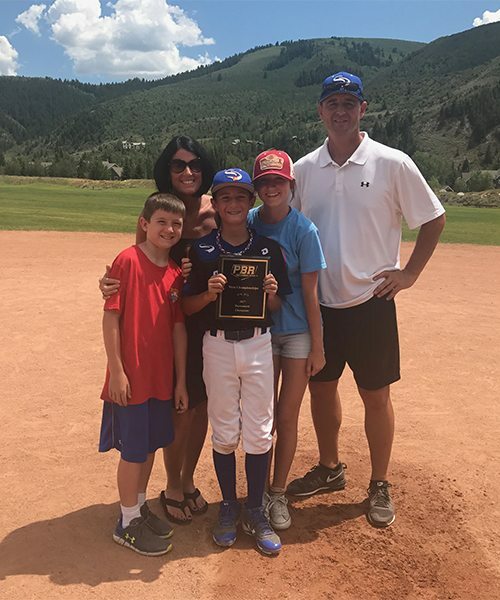 Eric started playing baseball as a kid and continued through high school – in fact, was All-State – though when he went to college at Western State Colorado University, he elected to play football instead. Getting back to his “first love” has been fun, and helping the kids learn the game and the team work that goes with it is rewarding. “Hopefully they get to love sports as much as I did and learn the life lessons that sports teaches,” said Eric. Eric and his family (he also has a younger son, Ryan, who’s 11, and a 15-year-old daughter, Sarah) find creative ways to make sure they don’t miss out on time together. 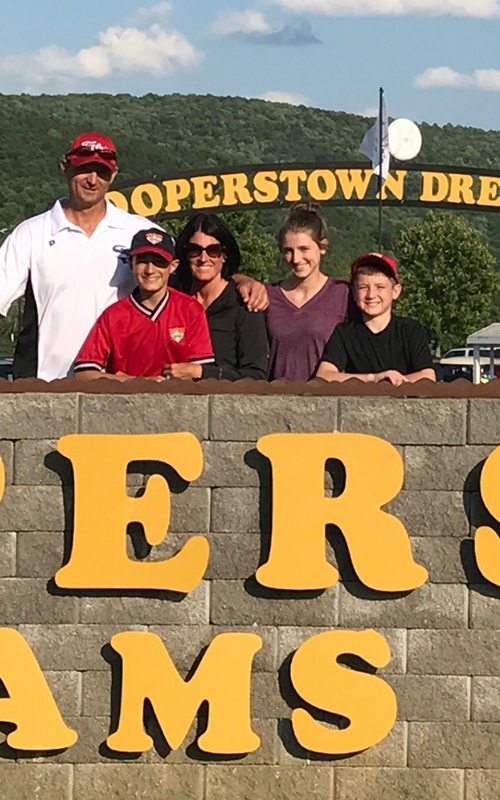 Last year’s tournament in Cooperstown turned into a week-long family vacation! Trips like this keep the family close, especially since Eric admittedly knows nothing about the sport his other two kids play (and therefore can’t coach): lacrosse. While his son is at this level, Eric feels like he has something to contribute. “Slammers is a great organization that teaches kids the basics, and teaches them in the right way, so they learn correctly,” he said. “So when you get much beyond the level I’m coaching now, these kids are going to be better than I am! I want to work with them while I still have something valuable to offer,” he says with a smile. Add to everything else that this father and son get to spend more time together, and it’s definitely a home run. This has just been a small sampling of the people that work at this amazing company (we are 420 strong! ), but it really is a part that’s representative of the whole. Sound like something you want to be a part of? Check out our careers page – we’d love to hear from you! Located in Cooperstown, New York, the National Baseball Hall of Fame and Museum first opened in 1939. The museum includes exhibits such as the Hall of Fame gallery, Women in Baseball, the African-American Baseball Experience, Viva Baseball (heritage of Latin American players), a baseball timeline, sections on Hank Aaron and Babe Ruth, and a look at the history of baseball. Do we love baseball here? Of course! For the past couple of years, Haselden has held our annual company picnic at a Rockies game! All Haselden team members and their families are invited – this year we had over 600 attendees! Check out the pictures on our Facebook page!